Texas is a massive state, but we’ve tried our best to narrow down your options to include the best mattress stores in some of the largest cities. Texans need their sleep whether out working in some of the nations’ major economies — Dallas and Houston — or working long hours in the sun out in West Texas. A good night sleep means another day doing what you love. With a state that likes to go big or go home, it’s no wonder this is a huge selection of options for getting yourself a little shut eye. Houston, Dallas, San Antonio each have many mattress stores that offer quality and affordable mattresses to ensure that you are getting the best quality sleep. West Texas, though sparsely populated, is well-supplied with mattress chains and smaller mattress shops alike. Check out our individual city pages within the state, or a run down of mattress store offerings by region below. If you were asking yourself-where can I find a mattress in Houston, you have come to the right place. Houston is vast and so are the options for purchasing a mattress. 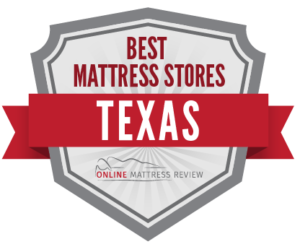 Some of the highest ranked mattress stores are Texas-owned. If you’re in the Second Ward in downtown Houston check out Texas Mattress Makers (4619 Navigation Blvd). They use quality customer service to help you find a mattress suitable for your budget. We know that Houston has a number of neighborhoods. Mattress Firm has got you covered with several mattress shops in houston and near houston. Mattress Overstock is a great option for individuals who live near Houston. They offer fantastic affordable deals on quality mattresses. If you are looking for organic materials try New Living in Rice Village. This mattress shop carries a number of top-notch brands with sustainable materials. You’re in luck if you want to know where to find a mattress store in Dallas because there are several fantastic options. Sleep Experts at 3700 N. Henderson Ave is a highly ranked mattress score with impeccable return policies, great customer service, and in-depth knowledge of mattresses and mattress technology. There is also one in Addison if you’re looking for a mattress near Dallas. They really are experts. Dallas Natural Mattress is a great find if you are looking for cream-of-the crop organic and sustainable mattresses. You’ll find them at 11661 Preston Rd. Dallas Discount Mattress offers a number of mattresses at low price points. Mattress Firm does an excellent job supplying mattresses across several neighborhoods in Dallas. Simmons Mattress Outlet provides quality mattresses at an affordable price. For those up in Richardson near Dallas, you may want to try Sleep Central Mattress Store. San Antonio has a great range of mattress options available including factory outlet options and company solely devoted to mattresses like Just Mattresses located at 9815 Culebra Rd. For downtown San Antonio, Factory Mattress (6801 San Pedro Ave) offers something for everyone with affordable prices and all types of firmness. Next Day delivery is an option here. Cantwell Mattress Company on McCullough Ave has great customer service and wide variety of mattresses and is located in Alamo Heights. Other top mattresses in the area include Optierest Mattress (5563 De Zavala Rd. ), Factory Mattress Alamo Heights, and Mattress Firm Final Markdown (355 E. Basse Rd). Though there are a couple of Mattress Firms in Austin- one in ZIlker and one Mattress Firm Clearance, Austin is home to the mattress shops. Urban Mattress is one of the top ranked mattress stores in the capitol and now has three locations: Central Austin, North Austin, and South Austin. Other popular locations include Discount Mattress (615 W. Slaughter Ln. ), Mattress Man (11712 North Lamar), Matrezzz Guys (7524 Burnet Rd), and Austin Discount Mattress. All of these mattress shops offer quality and affordable mattresses to suit your specific needs..
Western Texas has great options like Elrod Furniture in Big Spring- a great spot to get a mattress and frame set. The highest ranked mattress store in El Paso is called Denver Mattress (11835 Gateway West) and they are also known for their friendly customer service and knowledgeable staff. There’s also a Denver Mattress out in Amarillo. Kings and Queens Mattress Company (4008 South Washington) in Amarillo has a great selection.